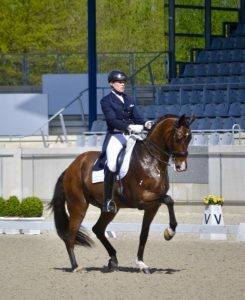 Roccabar went beyond all our expectations on Tuesday at the CDI in Aachen! 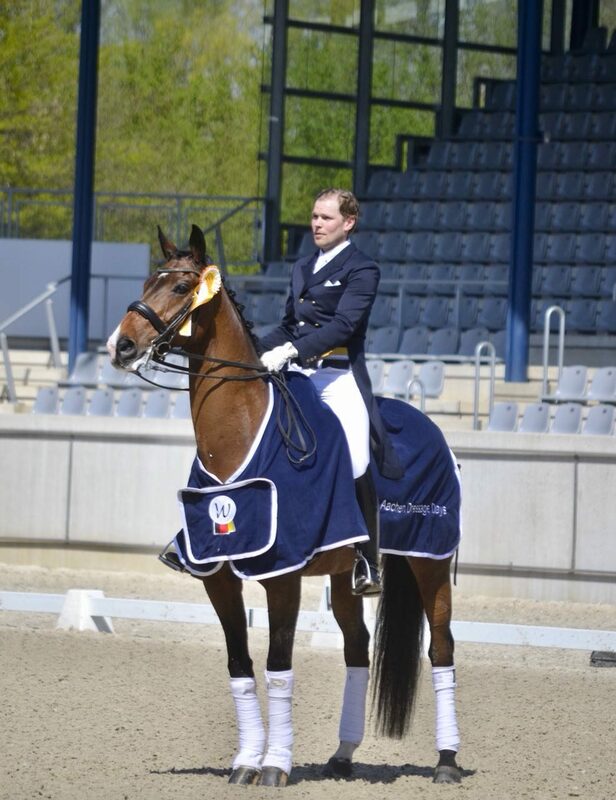 At his first ever competion Rocca could win the Grand Prix with 71,4%. Of course there was still some tension and because of that some small mistakes happened, nevertheless we are super happy and proud with Roccas superb round. There is still a lot of potential left when Rocca gets more relaxed in the arena. He is an over talented horse with an unbelievable flexible and movable body but still the necessary nerve. We are sure that Henri and Rocca still have a lot to come and we are looking forward to the next show!